The Atlanta Falcons and franchise quarterback Matt Ryan reportedly reached an agreement Thursday on a five-year contract extension that includes $100 million guaranteed. Chris Mortensen of ESPN first reported the deal, which will make the Falcons star the first QB to earn $30 million per season. Everything finally came together for Ryan during the 2016 season. The 32-year-old Boston College product completed 69.9 percent of his passes for 4,944 yards, 38 touchdowns and just seven interceptions en route to an NFL-best 117.1 passer rating. Now, it's paid off in a major way, both literally and figuratively, even though his 2017 campaign wasn't quite as strong as the prior one, posting a 91.4 passer rating with 20 touchdowns. He'd often flashed the potential to become one of the league's top quarterbacks since the Falcons selected him with the third overall pick in the 2008 draft. The 2016 season was the first time he played at a top-tier level for the entire year, and he has the Most Valuable Player Award to show for it. His success carried into that year's playoffs, with seven touchdowns and no interceptions as Atlanta knocked off the Seattle Seahawks and Green Bay Packers to reach the Super Bowl. The Falcons jumped out to a 28-3 lead on the New England Patriots before Tom Brady and Co. stormed back to win the title in overtime. Ryan still had another impressive showing, connecting on 73.9 percent of his throws for 284 yards and two touchdowns in the heartbreaking loss. All told, it was a banner year for the Pennsylvania native. 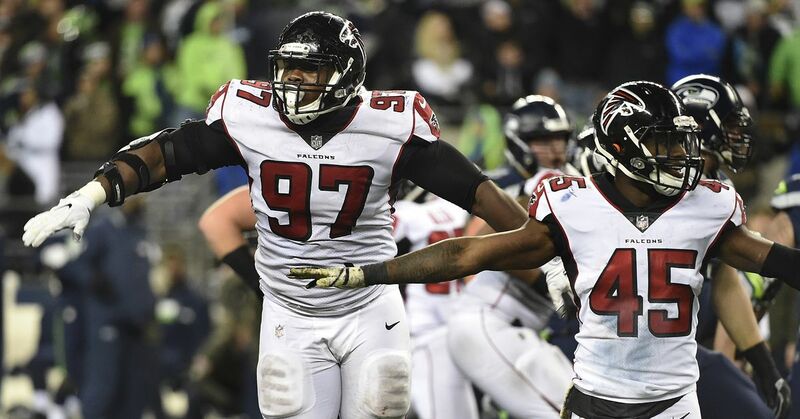 Falcons head coach Dan Quinn explained to Jeff Schultz of the Atlanta Journal-Constitution what he believed allowed the four-time Pro Bowl selection to reach the upper echelon of NFL signal-callers. "I've always thought Matt was a good quarterback," Quinn said. "What I can tell you is there has been a shift, there has been a jump in his play: his intent, his ability to know where to go, his decision-making. He already knew how to play. But I totally recognize that he has gone to the next level." More specifically, Ryan became adept at knowing when to take chances down the field to create big-play opportunities for Atlanta. Being able to take those deep shots without getting intercepted on a regular basis is a key reason the team led the league in scoring offense. Ryan stated before the Super Bowl he never lost faith in himself through the down periods of his nine-year career, including a 2015 season where he finished with 21 touchdowns and 16 interceptions. He remained positive about the outlook of both himself and the team, per Ron Clements of Sporting News. "You can't lose belief or confidence," he said. "One thing about this league is that you can get humbled very quickly. Learning what is best for you personally and what works best for our team has taken time for sure. I always felt like we would get to this point and have an opportunity to play in this game, and I am happy that we are there." Few positions in the NFL warrant lucrative extensions after age 30, but quarterback is one of them. The likes of Tom Brady and Peyton Manning have shown it's possible for a QB to have high-end success into their late 30s and beyond, especially for traditional pocket passers. Add in the fact Ryan is seemingly just hitting his peak, and the contract doesn't come with a ton of risk despite the high dollar amount. It's a safe investment for the Falcons as they look to remain among the league's elite teams in the years ahead.